Over pricing is a trap that many neophyte home sellers fall into, and it is by far the greatest single factors for prolonging the time a listing spends on the market. What these sellers do not comprehend is that over pricing a home not only allows it to stay unsold for prolonged periods of time, but also that it drives buyers to competing homes. 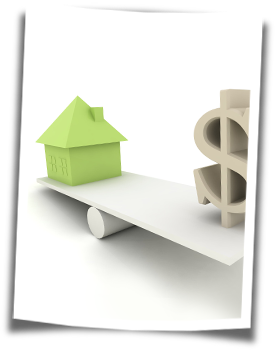 By over pricing a residential property, you are helping the very homes that you are in competition with for your buyers' dollars. Emotion is a powerful motivator among sellers in determining what they expect to derive from the sale of their home. Of course this is your home and likely has been for many years. You have made considerable improvements and modifications to it to suit your preferences and requirements, and have invested heavily into maintenance and repairs. You may feel that you are justified in asking the price you have in mind because to you the house is worth that much. Unfortunately any residential property is only worth exactly what the market will pay for it, and not a penny more. Over pricing your property will make your home the pariah of the neighbourhood, as interested buyers shun it in favour of either other homes in the same price range but in better condition and with more amenities, or homes very similar to yours which are listed at a lower price. Repelling this important pool of buyers is a mistake that many sellers live to regret. One of the most foolhardy theories in real estate selling is to price the property high and then drop it to attract attention. That attracts only the wrong kind of attention, as it shows that you are desperate and thus leading some buyers to believe that there has to be something wrong that you're trying to obfuscate. You should also consider that if you were to find a buyer who would present an offer close to the overstated listing price, the deal may fall through as the over priced property cannot possibly appraise for the price you have arbitrarily set. This can drastically change the ratios which the financial institution is comfortable lending to that particular buyer and turning an assured mortgage funding into a turn-down. A property which is priced even just a few percentage points over the actual market value will tend to languish on the market for an uncomfortable amount of time. There is a fairly direct exponential ratio to the level of over pricing and the amount of time the listing stays on the market. 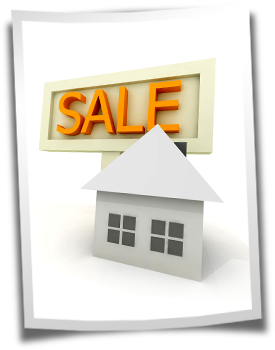 A house which is 10% over the market may generally take four times as long to sell as a house that is 5% above the prevailing values. At the opposite end of the listing spectrum are the under priced residential properties which are usually distressed, or occur when the seller is powerfully motivated to sell the home quickly, whether due to an impending move out of town, or a family problem. It's not just location, location, location, it's also comparables, comparables, comparables. Your professional, trusted, local real estate agent can conduct an extensive analysis of all the comparables in the area and then present you with hard data on what some similar houses are selling for in your community. The best way to price a home is to listen carefully to the advice of a seasoned, reputable realtor with years of experience in your area successfully selling your type of home. Price your residential property fairly and you'll be moving soon!